Our first session of the season on Saturday 1/9. We learned the details of the Stronghold Challenge and began to brainstorm ideas for what our robot would do! The team takes a break from building the base to pose for a picture. 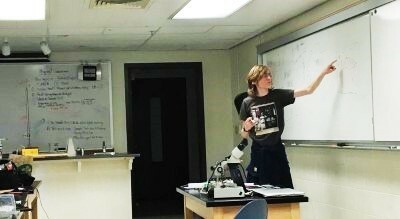 Tyler explaining the image recognition. 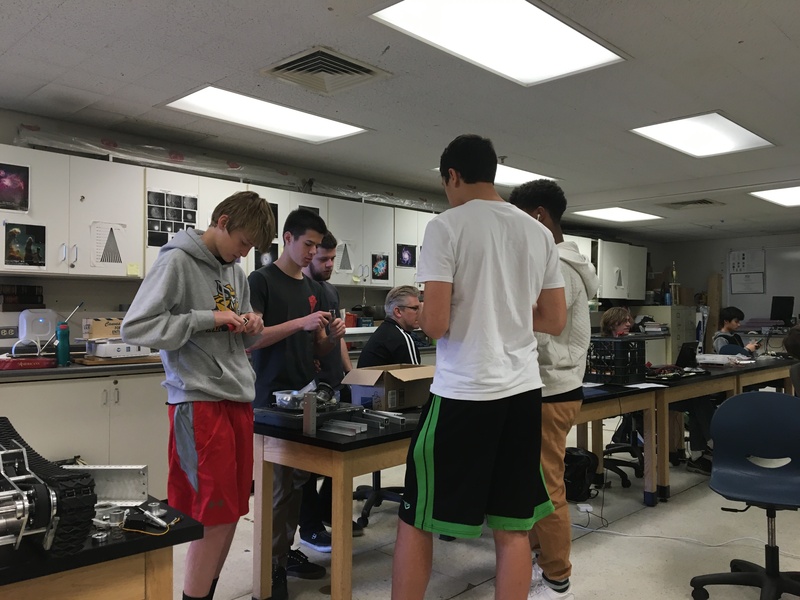 Learning about CAD and design software. Rick and the builders trying to figure out the robot's design. 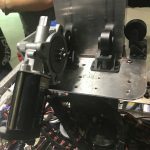 Who said building a robot was easy? Ryan, Justin, Sam, Cameron, and Johnny stand around the table filing away. 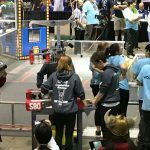 The action started early for Team 580 on Day 2, as they were in Qualification Match 2 @ 8:37 Thursday morning. 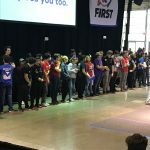 Our alliance members were Rookie Team 6832 Robotrojans STEAMex from Mexico & Team 1378 Hilo Viking Robotics from Hawaii. All the teams were excited to be here, but knew that this first match would be a tough one. 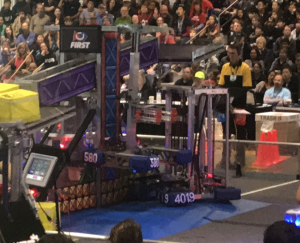 Team 580 missed placing a cube during autonomous, but did place 2 more cubes during teleop and attempted a climb but didn’t reach the correct height. 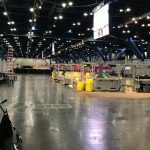 Our alliance lost 198 to 466, the whole team hoping that this was not going to be the norm here in Houston. 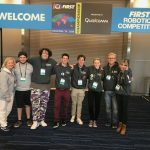 Our second match Q15 at 10:08 with team 1690 Orbit from Israel and 4501 The Humans from Santa Monica had a much better result, with our alliance winning 401 to 201. 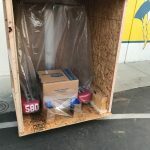 Team 580 successfully placed a cube on the switch and 8 cubes in the vault. 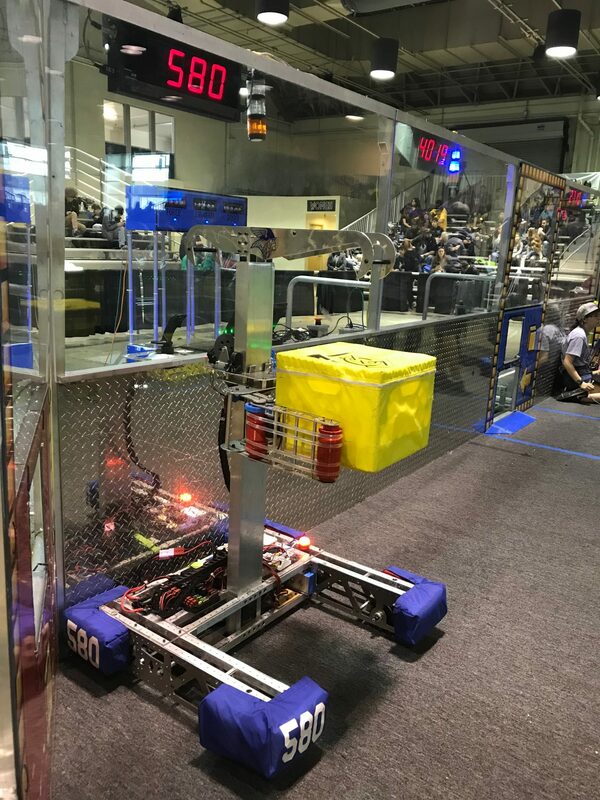 Team 1690 was planning on doing the climb in the last part of the match, but got stuck, so Team 580 driver Justin G. ‘18, helped by pushing them, but they still weren’t able to attach their climbing mechanism so Team 580 attempted to climb yet ran out of time again. The team was happy to take their first win putting them in 39th place. 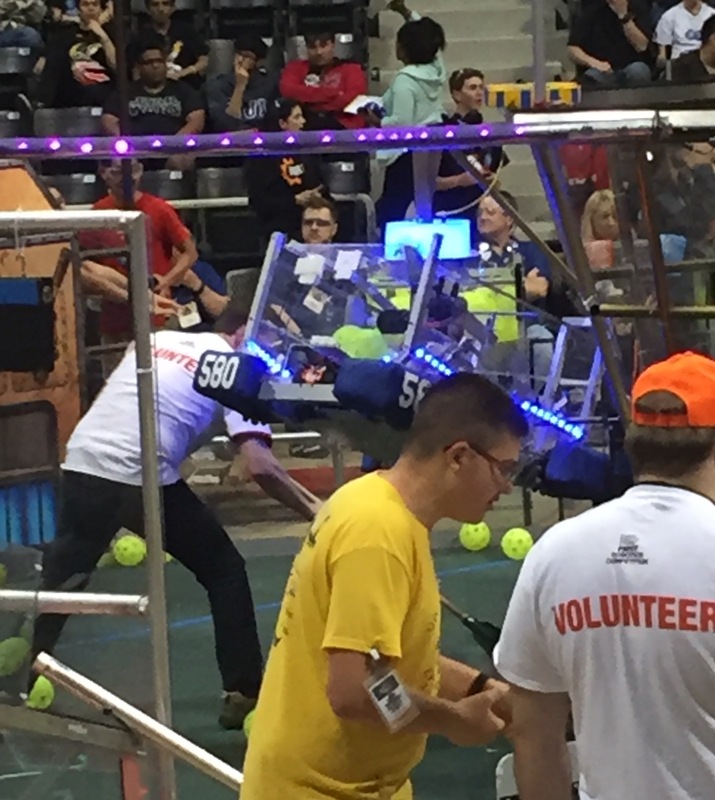 The third match Q30 was Team 580’s best match. 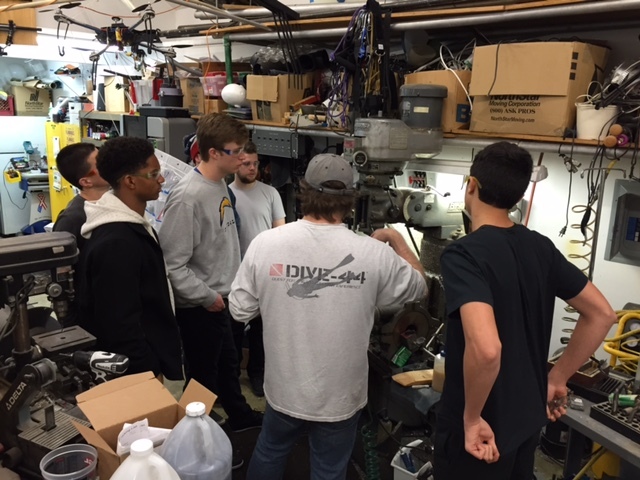 The strategized with their alliance teams to attach the buddy bars that were built by team member Ian W. ‘20, after the LA Regional but had yet to be used in a competition successfully. The team only attaches the buddy bars if another team wants to try to climb on the bars because they do make the robot top heavy. 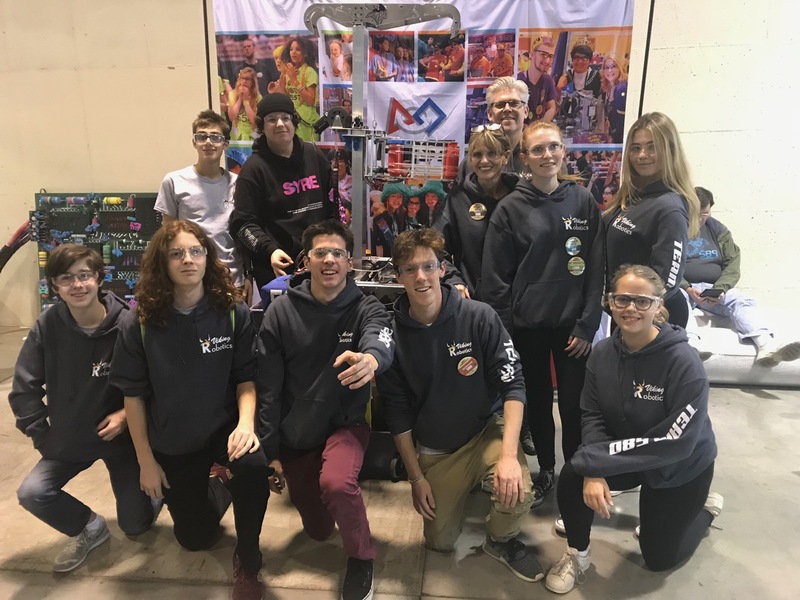 Our team was aligned with 1622 Team Spyder out of San Diego and 5987 Galaxia from Israel. 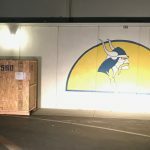 The plan was for team 580 to focus on as many cubes in the vault and then climb. Team 1622 would attempt to climb by attaching to our buddy bar, and they did, making this our first successful buddy bar climb. 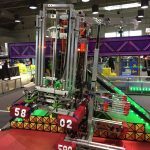 Our alliance won this match with one of the highest scores of our division of 505 to 253 earning 4 Ranking points. The team was really excited about the win and our new 18th rank, but more so about the buddy bars! 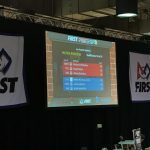 The last qualification match of the day for Team 580 was with Team 5803 – Apex Robotics from Seattle and Team 4265 – Secret City Wildbots from Tennessee. 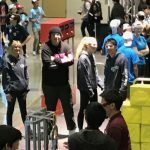 Team 580 placed a cube on the switch and 8 cubes in the vault and our team mates successfully did a dual climb winning the match with another high score of 496 to 200, putting team 580 in 6th place. 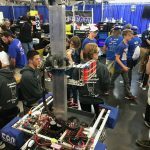 After several other matches played Team 580 ended the day in 4th place to start day 3. The team enjoying Silent Disco with other teams from around the world. 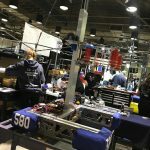 Team 580 earned a Wild Card from the 2018 Ventura Regional March 29-31. 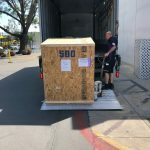 Our team spent the two weeks prior to the Championships getting a crate built for the robot to be shipped in, along with tools and equipment needed to work on the robot while in Houston and airfare, lodging, transportation and food! 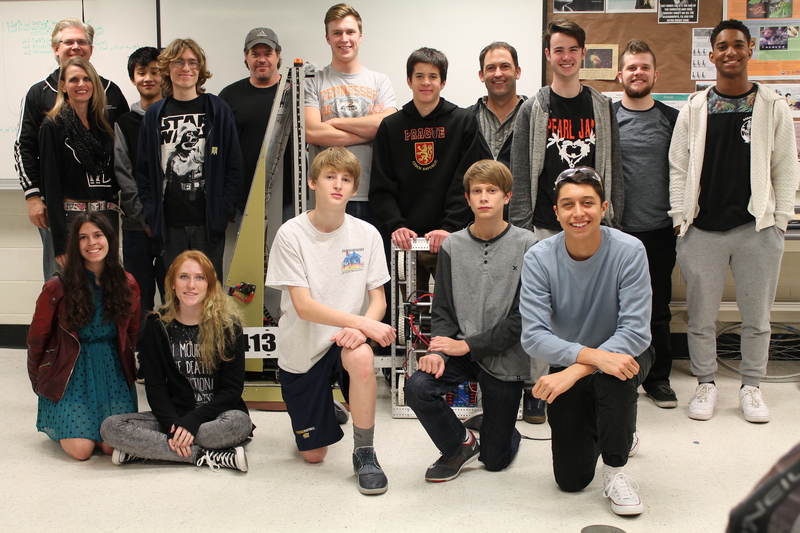 Thank you to Campbell Hall, FedEx, Shipping Pals for your help & support to get our team & robot to Houston. 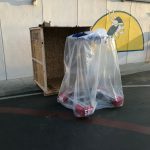 Robot in Crate with beautiful built in battery box! 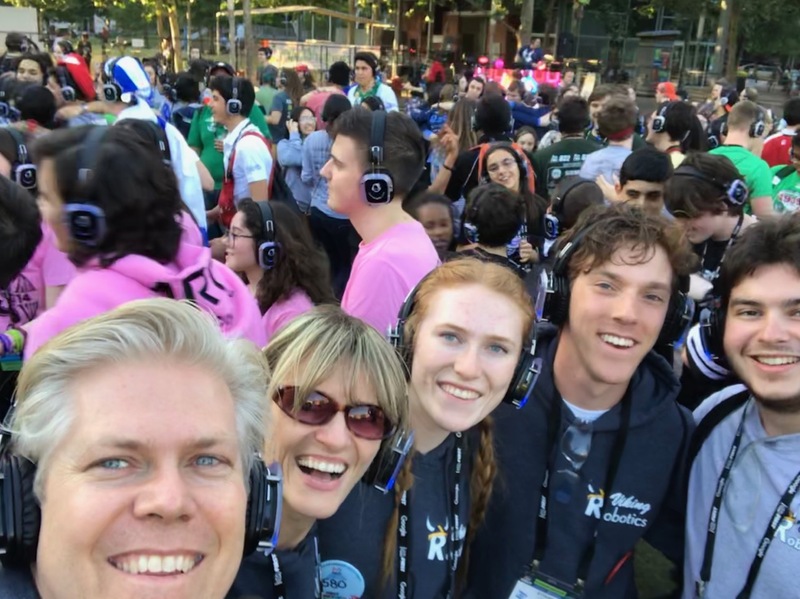 Our four drive team members, Captain Maddy R. ’18, Driver Justin G. ’18, Programmer Ethan M. ’18 and Human Player Ian W. ’20 along with Mentors Pete & Angie & faculty chaperone Jan, set off for Houston Late Tuesday afternoon April 17, arriving in Houston late and of course there was the mandatory midnight Pizza dinner when the team arrived at the hotel. 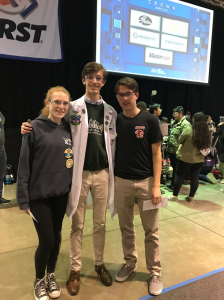 We were also joined by Ari B., an alum from another team who helped our programmers throughout our season, who flew himself out to Houston to continue to help the team. 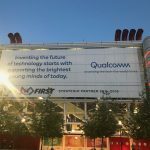 The 4-member drive team arrived at George Brown Convention Center, in downtown Houston, Wednesday morning, along with 400 other teams, where most teams averaged 20 to 40 members. 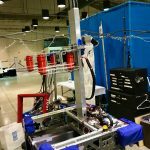 Our robot & tools were delivered to our pit and the team and mentors spent the day setting up the pit and getting our robot ready to go. 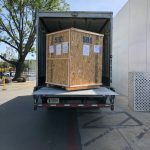 Thank you FedEx for your support of FIRST Robotics and getting our robot to Houston on time! 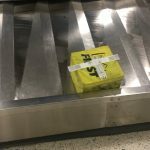 Also, thank you to shipping pals for getting our tools to Houston on time too! 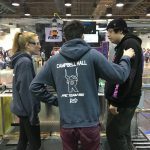 Thank you Campbell Hall for supporting Viking Robotics Team 580 and getting us to Houston! Thank you Ari for joining us in Houston and helping our team! 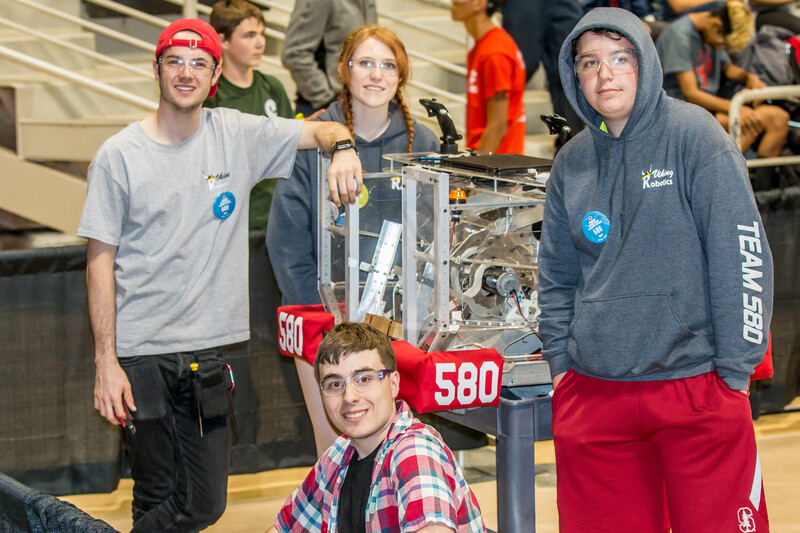 Viking Robotics Team 580 Ranked 8th & Ties for 3rd at FIRST LA Regional. Viking Robotics Team 580 came out of the Ventura Regional ranked 40 out of 42, but stuns everyone at the LA Regional the following weekend by finishing the qualifying rounds ranked 8th out of 62 and with their Blue Alliance, Teams 4415 EPIC Robotz from Cerritos, CA & 1197 Torbots from Torrance, CA. tied for 3rd in a stunning Semifinal TieBreaker match. The 5 team members at the LA Regional included: Liam M. ’17, Maddy R. ’18, Ian W. ’20, Logan D. ’17 and Ryan P. ’19. 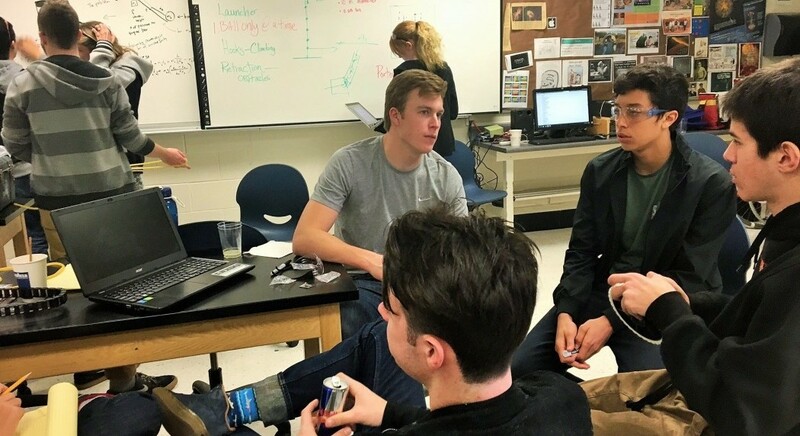 Teammates not at the LA Regional, but involved throughout the build were Justin G. ’18, Ethan M. ’18, & John F. ’19. 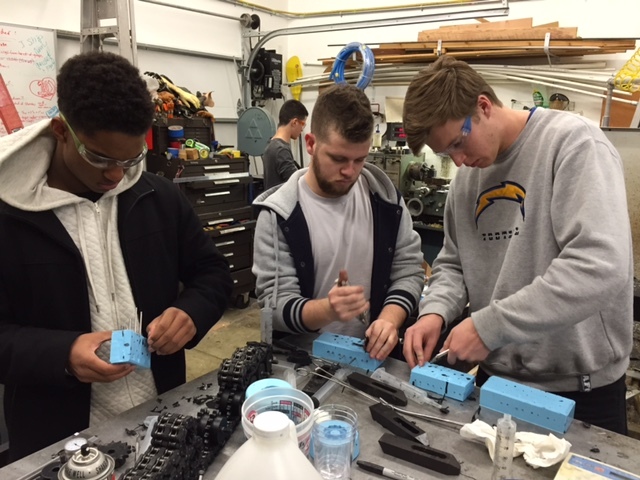 All worked very hard getting the robot ready to compete. After leaving the Ventura Regional the week before, the team decided that to improve in ranking at the LA Regional, they would need to get more points. 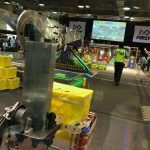 The three primary ways to get points in this years FIRST Competition, are to place gears, shoot balls & climb. Team 580’s robot could hold 30 to 50 balls and shoot them in the high goal and place gears. However, trying to do both in a 2 minute, 15 second match didn’t produce enough points. 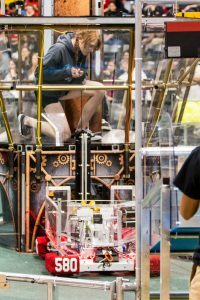 So the focus would be to only place gears in the first minute and 45 seconds and then try to climb in the last 30 seconds. This required designing a climbing mechanism in the few days before the next competition and building the climb mechanism the Friday before the match, since the rules say you can’t work on your robot in between matches. 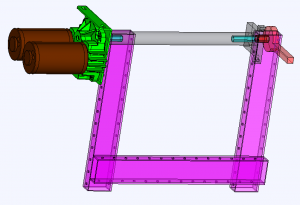 Without much time, the team found miscellaneous parts & material from their Robotics Shed, then did a CAD design of what they thought would best fit on the robot. 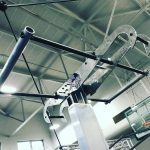 The design was simple, two 1 x 2′ aluminum bars, a CIMple Gear Box, two Vex MiniCim motors, a 1″ shaft, ratchet, some hex shafts and velcro. Under the rules the additional climber parts would have to be under 30 lbs. 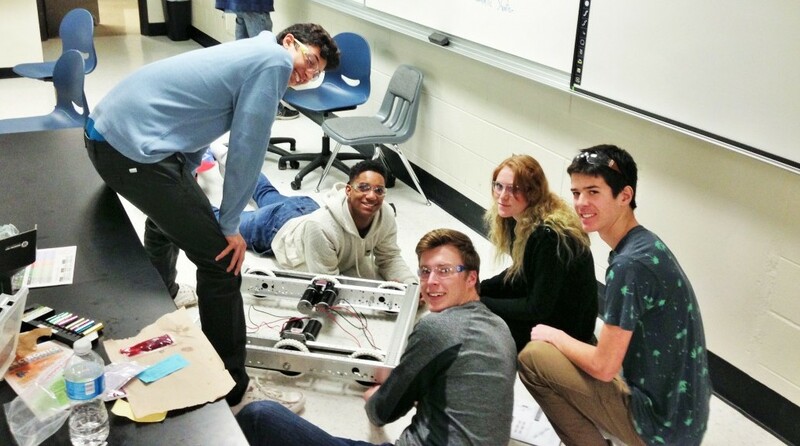 The team fabricated & assembled the climber and attached it to the robot at the competition, while practice matches were being held, but that took most of the day, so the climber was never really tested. Saturday morning, the team was at the practice field testing it and found that the climber wasn’t working, so they started qualification matches knowing it would only be able to place gears. 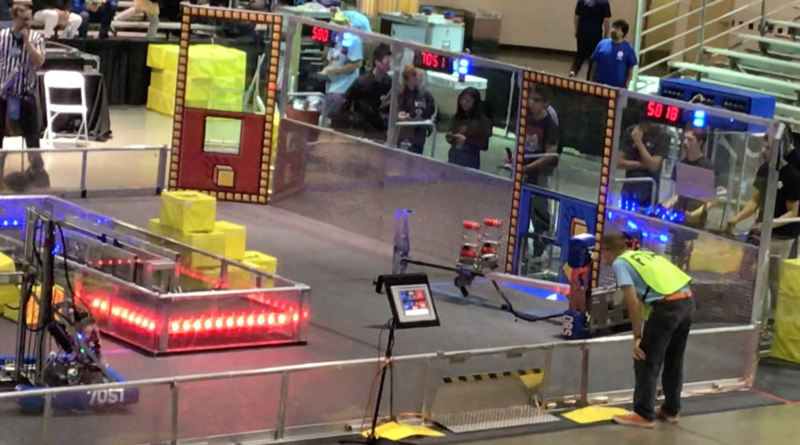 However, in the teams first qualification match, their alliance won their first match with 264 points to 255 points. 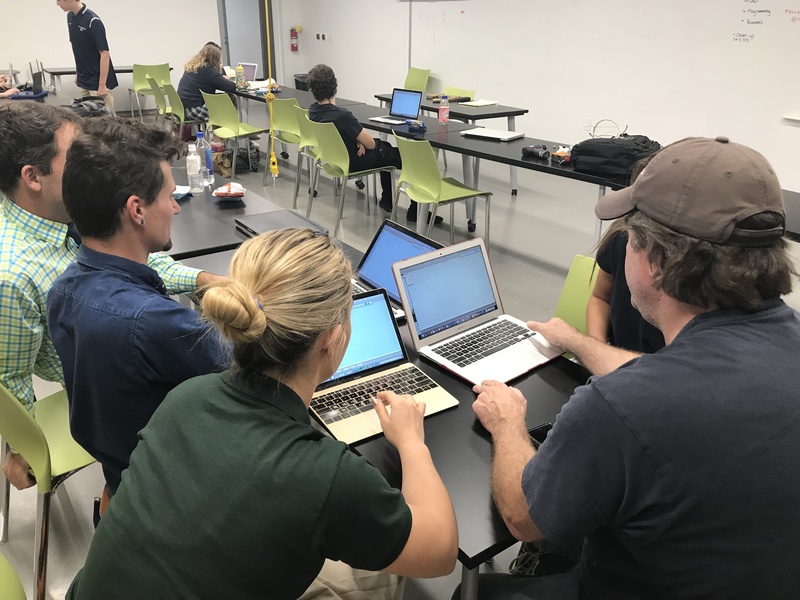 The team continued to work on the programming to see if they could figure out why and eventually saw that they could adjust the power needed. 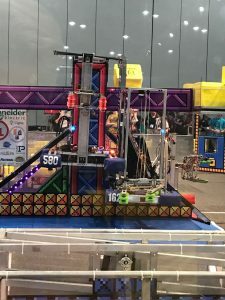 After winning their second qualification match with 135 points to 45 points, the team felt that their robot could now be lifted by the climber and scheduled a test after their third match. 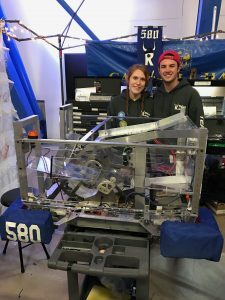 There were major technical difficulties on the field and the team sat for 2 hours waiting in the queue for the third match and missed their scheduled appointment on the practice field and no other practice spots were available. 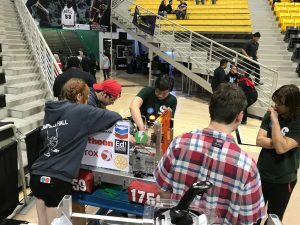 But during that time, the team helped their Alliance partner Team 1759, The Potatoes, out of El Segundo, with some programming and hardware issues with their robot. 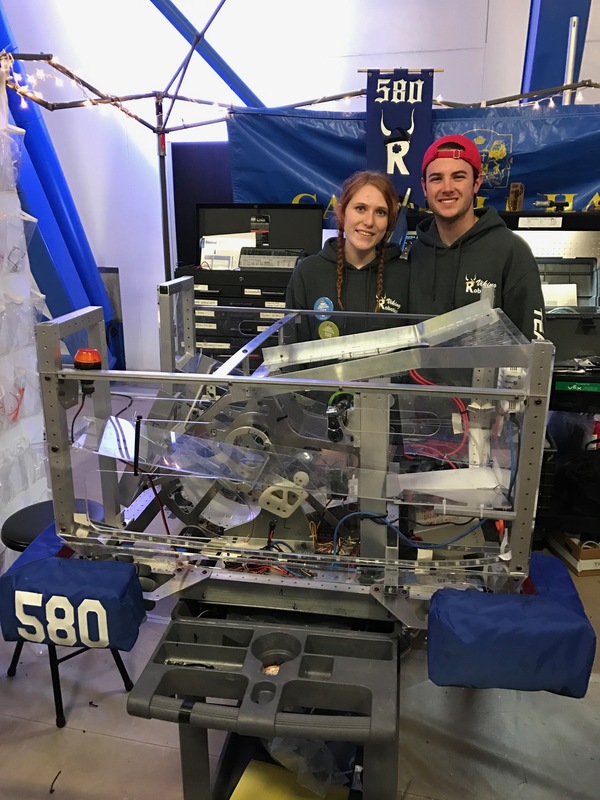 Team 580 ended the Saturday qualification rounds 4-1-0, ranked 10th out of 60 teams, having only lost 1 match that day due to a loose wire getting caught in one of the wheels and stopping communications with the robot. 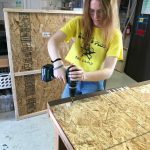 One of our Team Captains, Maddy R. did a quick solder repair and the robot would be ready to go Sunday morning. 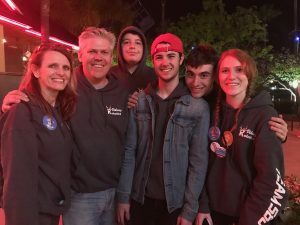 After a long two days, some of the team members and mentors enjoyed the evening out in Long Beach and talked strategy for the next day. Placing gears was working and keeping us in the top 10, so the team planned on continuing with that strategy, but knew that in finals they would have to get the climber working. 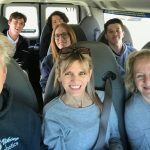 At last weeks Ventura competition, all 6 finalists could climb. The team started to consider a strategic alliance with a team that could help get the climber working. 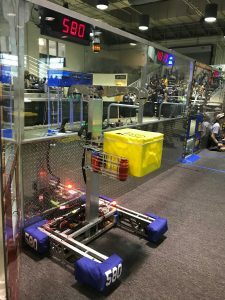 Sunday morning came fast, because the previous days qualification matches didn’t finish, the plan would be to open the doors 30 minutes early and finish them. 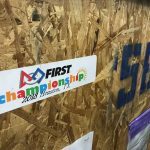 Team 580 continued with it’s gear placing strategy and ended qualification matches ranked 8th out of 60 teams. Our other team captain, Liam M. ’17, joined the other top 8 ranked teams on the field for the alliance picking. 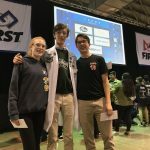 With most of the teams focus being on the climber the past two days, getting around to all the teams to understand who would be a great alliance was tough. But we did form a great Blue Alliance with Teams 4415 EPIC Robotz from Cerritos, CA & 1197 Torbots from Torrance, CA. 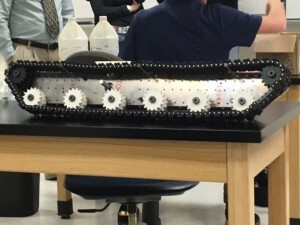 Both teams were strong at placing gears and could climb. 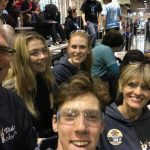 Our team captains had spoken to team 4415 early on and explained that we were having difficulty with our climber. 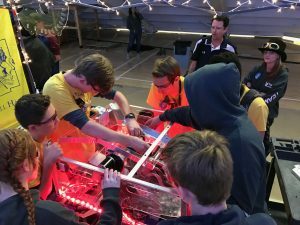 As soon as our alliance was chosen, Team 4415 came over to help. 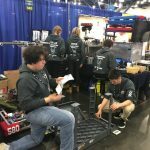 Within 45 minutes before the Quarterfinals we were able to make some adjustments and with minutes to spare the team got inspected and on to the field for their first Quarterfinal. Team 580 & the Blue Alliance, won their first match, but ran out of time before we could climb. 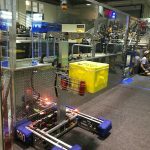 The Blue Alliance wins their second match to continue onto the Semifinals. 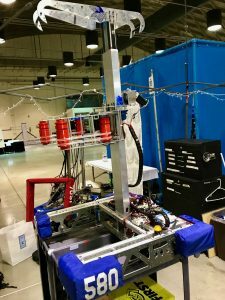 Our climber started to work, but the robot got stuck on the way up. For our Semifinals match the Blue Alliance was paired up with the number 1 seeded team, but in a stunning upset beat the Red Alliance and Team 580 successfully climbs and earns climbing points for the first time! 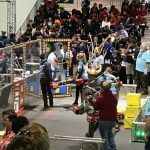 Red Alliance came back fighting and in a very tough match beats Team 580’s Blue Alliance. The Finals are a best 2 out of 3, so we go to a winner takes all Tie-Breaker. 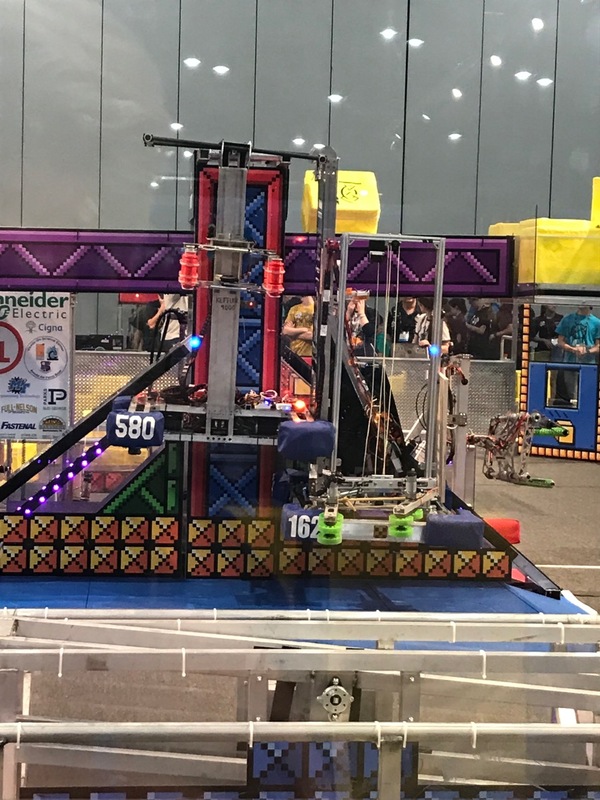 Team 580 & their Blue Alliance vs. 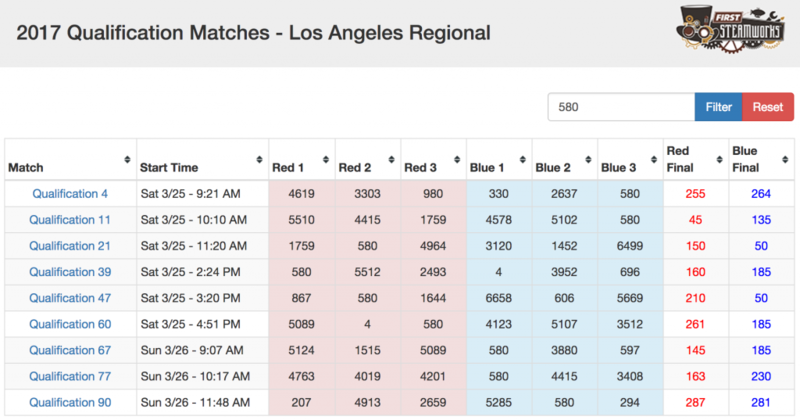 Team 330 & their Red Alliance had one of the highest cumulative scores for the LA Regional, 806 total points. In a spectacular finish, the Red Alliance wins by 6 points, in this Semifinal Tie Breaker. Highlights: This match was all about points. 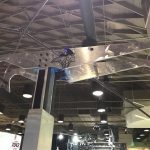 Both teams got all their gears placed and rotors spinning, and all 6 robots climbed successfully. The difference was the 6 points made by shooting balls. 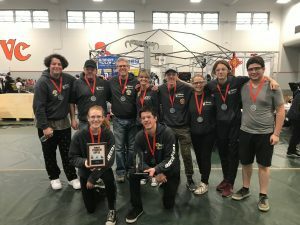 Congratulations to the Red Alliance who went on to win the tournament! 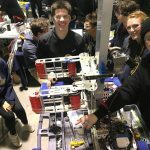 Thank you to Team 4415, EPIC Robotz for joining our Blue Alliance and helping us with our climber. 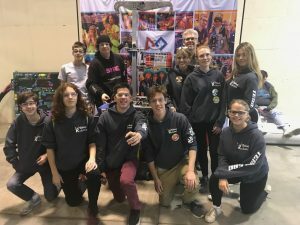 Thank you to Team 1197, Torbots for joining our Blue Alliance. 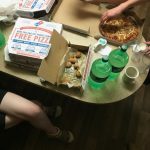 We couldn’t have made it as far as we did with out your help. Thank you to our mentors Rick Galinson, Angie & Pete Robbins and Karl Frank. 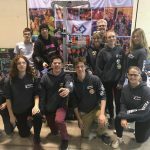 You helped us build an amazing robot this year. 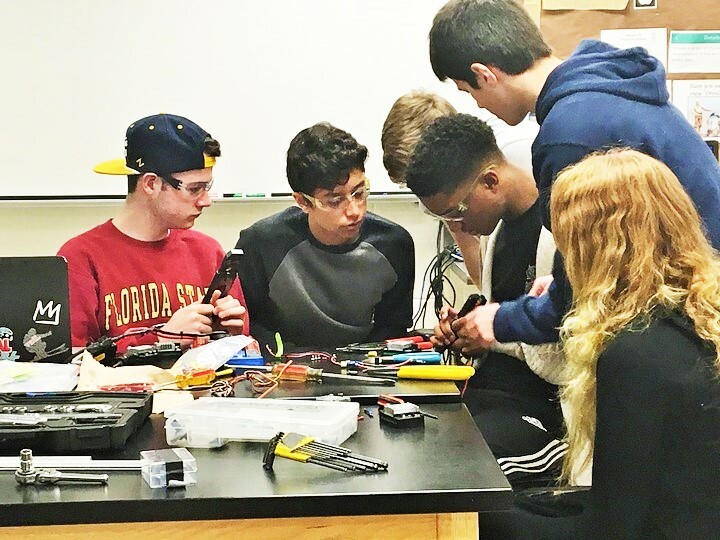 Thank you to our sponsors NASA, The Galinson Family Foundation, Campbell Hall, Strata IT and Industrial Metal Supply, family & friends who donated money, food and time, we couldn’t have done this without you.